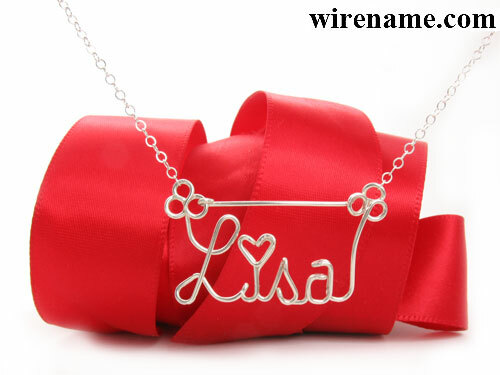 a name like Ann Marie, Mrs.Smith, Jennifer RN, ALL CAPITAL LETTERS, Davids Girl, NailChick or Two names, please use order link ‘Two Name Necklace’. 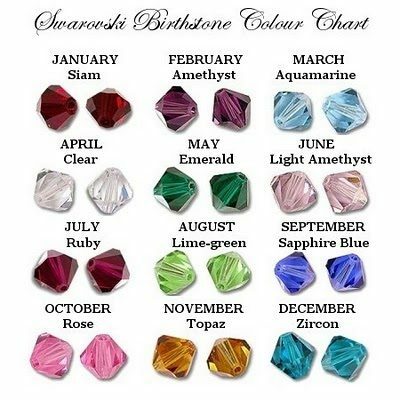 See color selection of Swarovski birthstone crystal beads. 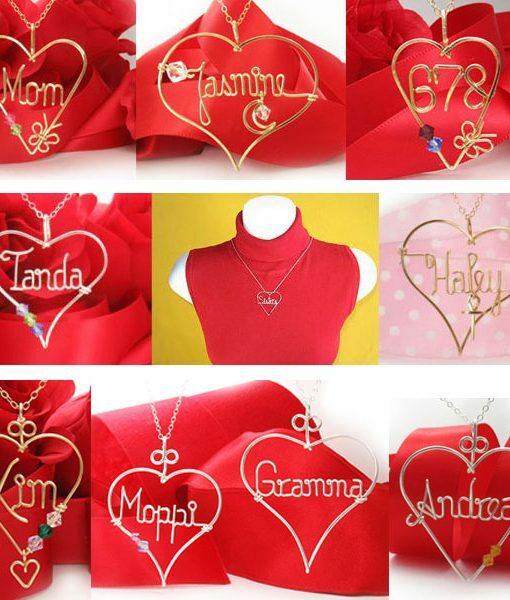 See small dangling pendants that adds fun and stylish hanging charms. 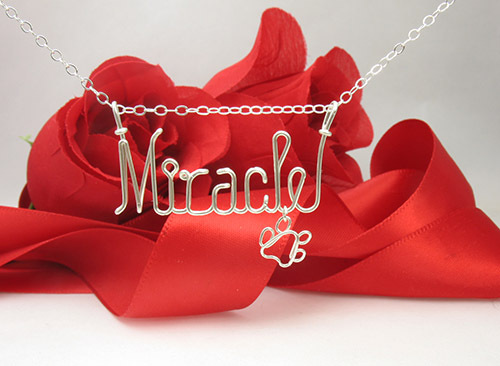 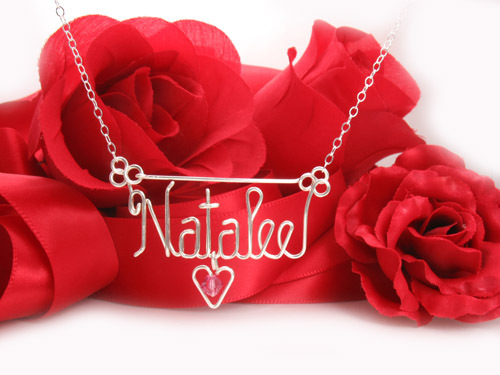 Express your love with personalized custom necklace for kids, mom, baby, her gift. 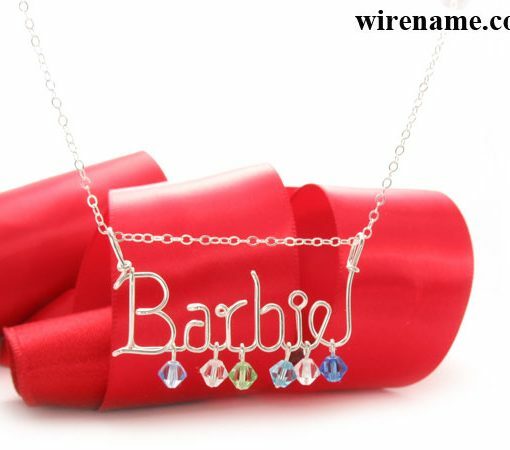 Finest Wire Wrapped Name Necklace. 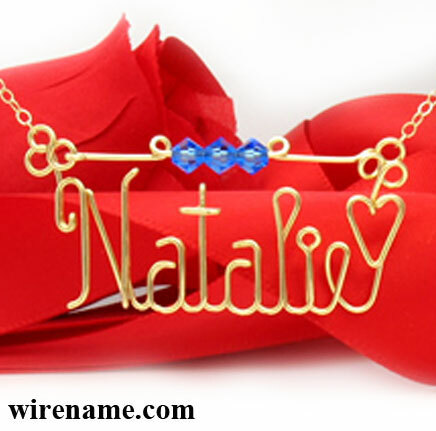 Personalized name jewelry. 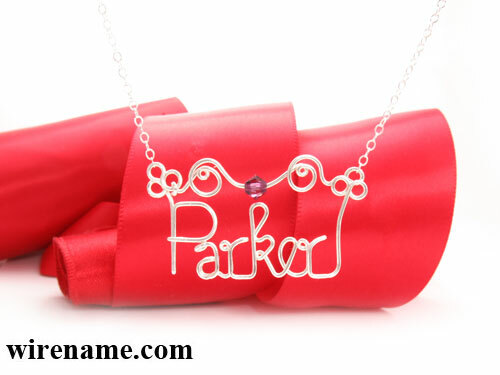 Custom Sterling Silver Necklace, Custom Gold Necklace. 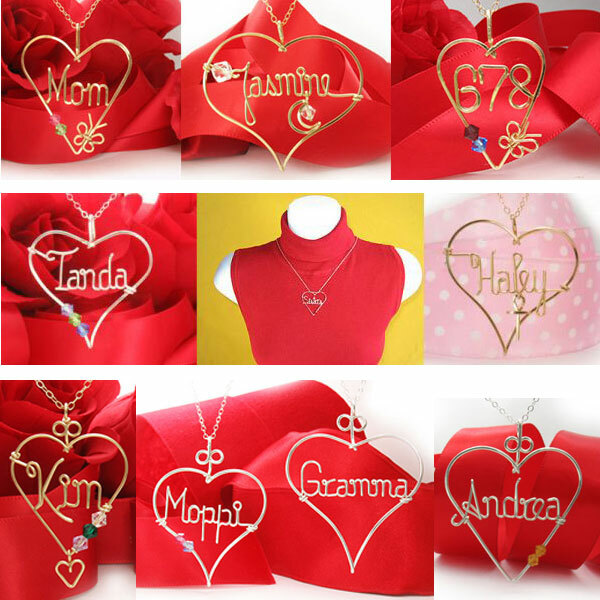 See Gallery: 1, 2, 3, 4. 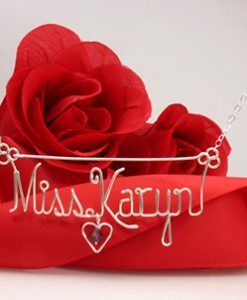 We specialize in personalized name necklaces for over 30 year now. 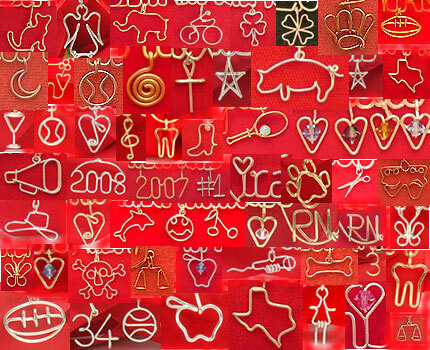 No matter how complex, there’s no type of personalized name necklace we haven’t made or designed. 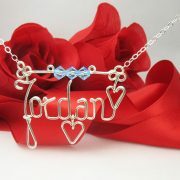 Each one of our wire name necklaces is custom made personalized to your preference and design names. 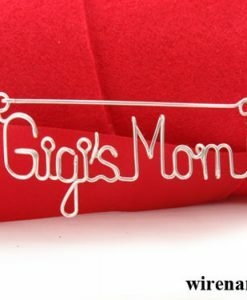 That’s right, you will not find any mass produced products on our website. 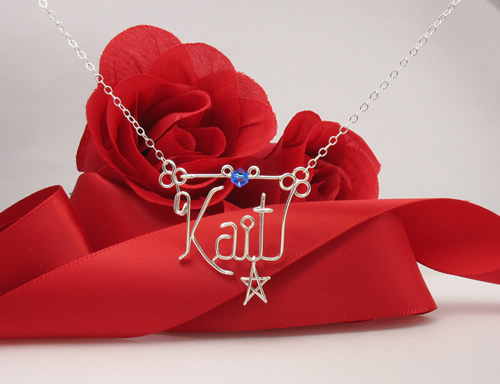 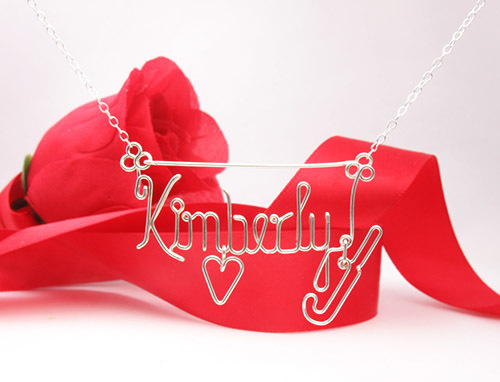 Your personalized name necklaces are completely hand made, making it one of a kind jewelry. We can create necklaces using any name. 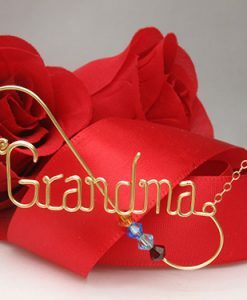 This include names that’s not English. 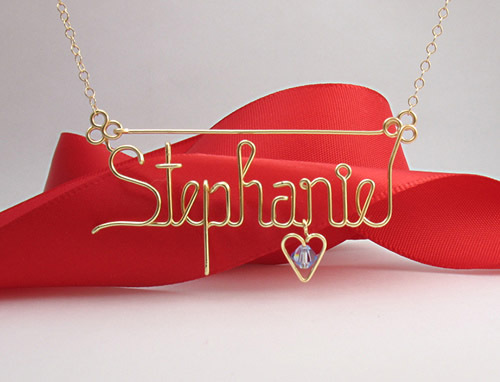 And when we say personalized we mean you can customize the name how ever you like. 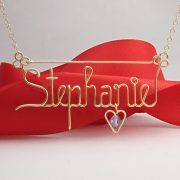 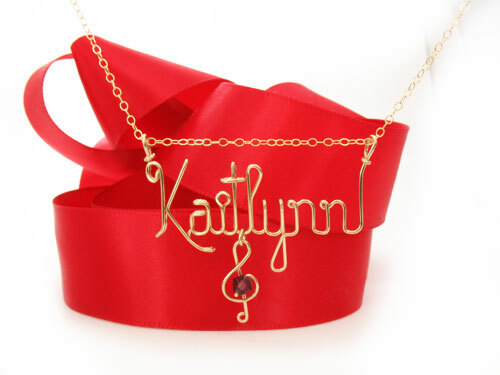 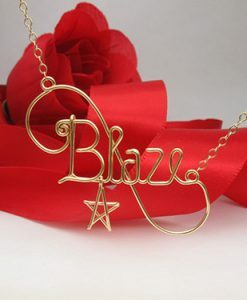 Your personalized name necklace can be any custom name, custom writing, custom letter or initial. 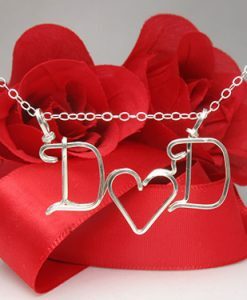 We even make 3 initial necklaces. 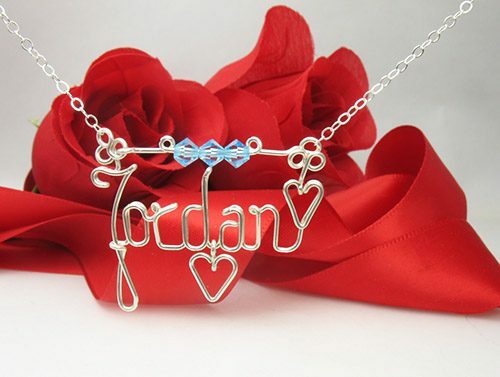 Now, you too, can have your own unique necklace with your name on it.